Kahu McClintock is an example of Māori leadership that provides direction and also a source of strength and inspiration. With almost 45 years of experience working with Māori whānau, communities, and iwi, Kahu shows what can be achieved through a commitment to helping others, hard work, and courage. Kahu’s approach to leadership is the result of multiple strands of knowledge woven together; cultural, clinical, and academic. One of her strongest influences is her whānau (family). She was born the sixth of eight children raised in the small provincial town of Piopio in the King Country, by a strong Ngāti Porou mother and humble Waikato-Maniapoto, Ngāti Mutunga father. Kahu was nurtured in a working class Māori whānau that valued education and connections to each other. At 17, Kahu entered a career in mental health as a trainee mental health nurse at Porirua Psychiatric Hospital in Wellington. Guided by a passion for Māori culture and supporting Māori communities, Kahu would go on to become qualified as a mental health nurse, a primary school teacher, and advisor in special education, and working in kaupapa Māori Child and Adolescent Mental Health Services (CAMHS). While working full time in CAMHS and raising two children by herself, Kahu completed a Masters of Philosophy in Māori studies. After her Masters, she began her career in health research. 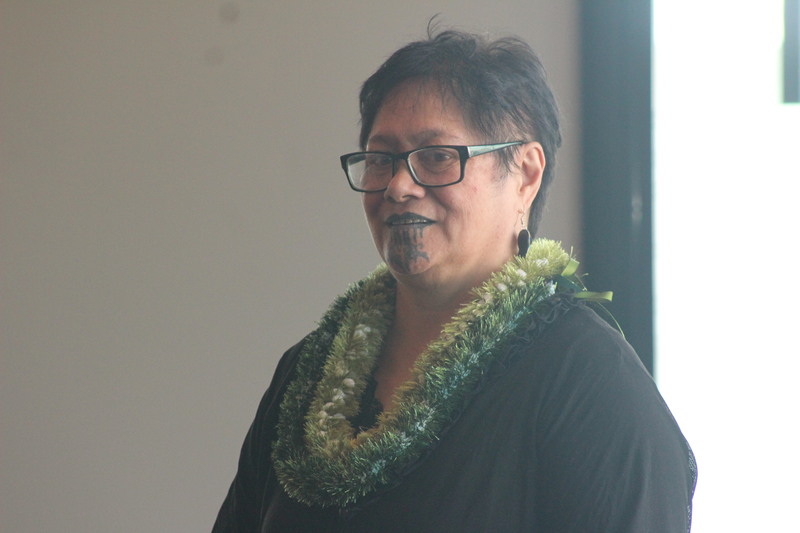 While working as a researcher, Kahu went on to complete a Doctorate and Post Doctorate in Psychiatry, with a special focus on culturally appropriate CAMHS for Māori. All of these experiences and skills serve Kahu well in her current work in Māori health research. As Research Manager of Te Kīwai Rangahau, Te Rau Matatini’s research and evaluation unit, Kahu leads and collaborates on multiple projects that work toward improving the wellbeing of Māori. Kahu also currently sits on the Waikato District Health Board Iwi Māori Council, the Waikato District Health Board Monitoring Performance Committee, is a member of the National Ethics Advisory Committee, is the managing editor of the Journal of Indigenous Wellbeing Te Mauri-Pimatisiwin, and recently finished a nine-year run of representing her marae on Te Whakakitenga o Waikato (Waikato-Tainui tribal council). While carrying out roles of leadership at multiple levels of society, Kahu is always clear that leadership is about a responsibility to make life better for the whānau she serves.